On Monday, Apple released iOS 4.2, a free software update that brings the features of iOS 4—including multitasking, fast app switching, and a unified mail inbox—to the iPad for the first time. We had a chance to use the update, which also adds the new AirPrint and AirPlay features to all compatible devices, for a few days: here's a first look. Users of compatible devices can update by attaching a device to a Mac or PC, selecting it in the iTunes source list, and clicking the Check For Update button. (It’s always a wise idea to let iTunes back up your device before running an iOS update, in case there’s an error that forces you to erase it.) One bit of trivia: the iOS update being released Monday for iPad is actually version 4.2.1, since version 4.2 proper was replaced as a part of this release's development cycle. Print Center runs in the fast-app switching strip and keeps track of your print jobs. The other big feature in 4.2 is AirPrint, which lets iOS devices print directly and wirelessly to a handful of HP ePrint printers. Unfortunately, one of the features originally promised for AirPrint—the ability to use a Mac or PC as an intermediary to print to a wider range of printers—does not appear in the software releases occurring Monday. Another new feature arriving with iOS 4.2 is the ability for all users to access Find My iPhone, formerly available only to subscribers to Apple’s premium MobileMe service. If you’ve got a device running iOS 4.2, you can use your Apple ID to set up a free MobileMe account with access to the Find My iPhone set of features, with the ability to find an iOS device on a map and remotely lock or wipe that device. Despite the presence of AirTunes and AirPrint, the big story of iOS 4.2 is really that it brings the features of iOS 4 to the iPad for the first time. The iPad shipped on April 3, but only five days later Apple announced iOS 4.0, which shipped two months later. For the intervening five months, the iPad has been a full step behind the rest of Apple’s iOS devices. On Monday, that ends, and the iPad and iPhone will be running the same version of iOS for the very first time. Folders. The iPad has them. iOS 4’s multitasking features are very nice on the iPhone, but they’re a revelation on the iPad. With this one free software update, all existing iPads get a huge productivity boost. When we talk iOS multitasking, it’s important to note that we’re actually talking about several different features: the ability for apps to run portions of themselves in the background while other apps are in the foreground, the ability for apps to pick off right where you left them when you switch back to them, and the new “fast app switcher” interface that appears when you double-tap the home button. When you put these three features together, you get multitasking, iOS 4 style. 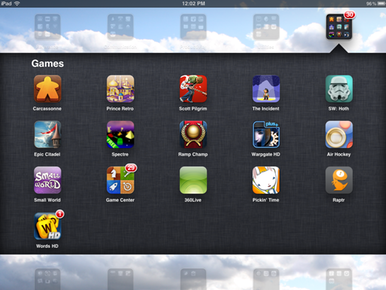 And on the iPad, which is generally populated by more complex apps than the iPhone, it really shines. In my testing, I was able to flip quickly between Mail, a Twitter client, and a text editor. Double-tapping the home button and using the fast app switcher quickly became a habit, and because iOS 4-savvy apps pick up right where you left off, switching into an app no longer becomes a speed bump that requires you to navigate back to where you were before. You can get in a real groove once you get the hang of it. It’s not quite the same as running several programs on a Mac or PC—you are, after all, only running one app in the foreground at a time—but it’s a much more productive environment than prior to the OS 4.2 update. The background processing will also be a welcome addition for iPad users. Yes, you can now launch the Pandora app and then play music in the background while you do other things. And perhaps the excellent NPR iPad app will get an update to support iOS 4.2 shortly, so users can listen to the radio stories they’ve queued up while running other apps. The new control panel features (left to right) an orientation lock, brightness setting, playback controls (including AirPlay and volume), and an indicator of which app is currently playing audio or video in the background. iOS 4.2’s fast app switcher also contains another small productivity boost: a quick swipe from left to right brings up a control panel featuring a brightness slider, so you can adjust screen brightness without launching the Settings app. There’s also an orientation-lock button, because with this release Apple has changed the behavior of the switch just above the iPad’s hardware volume buttons. Previously, that switch locked the iPad’s orientation, so you could hold the iPad in odd positions without the contents of the screen automatically rotating. Now that switch is a mute switch, which silences notifications (but not all noise) coming from the iPad. When Macworld asked Apple about the reason for this switch, which some users have decried, a company representative suggested that it was made to provide consistency between the mute switches on the iPhone and iPod touch. 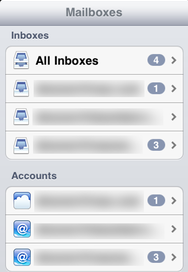 In addition, conversations in iPad mail are now threaded. No longer will you reply to a message only to discover that an hour later someone else responded with the same answer—now all messages in a reply chain will appear grouped together in a submenu of the mailbox in question. Also, the ability to set up multiple Microsoft Exchange ActiveSync accounts means that iPad users can now wirelessly sync both a work calendar running on an Exchange server and a personal Google calendar, for example. And the addition of folders to the iPad's home screen means the iPad can now hold a ridiculous number of apps—and more importantly, users can now organize their apps better and across fewer pages of the home screen. As a part of the AirTunes roll-out, the second-generation Apple TV will see its onboard software updated to version 4.1. 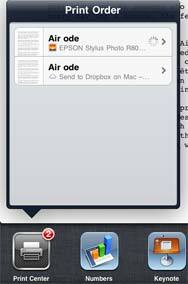 This update adds AirTunes support as well as a new VoiceOver accessibility feature. Also new on Monday are updates to Apple’s three iWork applications for the iPad. The new versions of Keynote, Numbers, and Pages add support for AirPrint, along with several other small tweaks, including support for presenter’s notes in Keynote.